Previous Post: Malta, our early retirement destination Next Post: Retirement can be Fun! 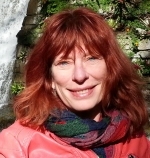 Deborah Wilbrink is a personal historian specializing in memoir and family history books. She opened Perfect Memoirs to put to use skills and experience in journalism and English education, a love of reading and writing, an interest in history, and respect for elders. Deborah’s blog on her website offers tips about memoir writing. She is a former NBPT English teacher, freelance journalist, political speechwriter, television writer, copywriter, and cemetery manager. She has a Bachelor of Journalism from the University of Georgia, coaches and teaches memoir writing, and volunteers with seniors sharing life stories. Deborah lives with her husband in Music City, Tennessee (Nashville) where her hobbies are songwriting and gardening. You can reach Deborah for comment and questions about memoir at 615-417-8424. Please check out Deborah's Perfect Memoirs site. You can also reach her by email. Completing your memoir is a step by step process. Set some reasonable goals. What will your project look like and when will it be finished? Will you make copies of a typed manuscript to tuck away, or have a slick book with a professional photograph on the cover? Will it be full of photographs and captions, or will it be a stark story, standing out for its words? How much and where will you write each day? Decide if you are most comfortable writing or telling, then pick up that pen, keyboard, digital recorder, or camera. If writing is not your strength, ask a friend or professional to interview you and then polish your words. If you need a strong helping hand on your words, you can even have your memoir as My Book as told to . . . and it will still be your book. If you want to go beyond a saved and printed file, or a handwritten journal, you may need some help. An editor advises, coaches, and steers. After all is ready, a proofreader will catch and correct grammar and punctuation. Who will design your book cover and get your file to match the book printer’s requirements? So much effort goes into the writing that most people want a beautiful end product to show off their story. Perhaps you know someone or have a family member who will embark on this journey down the river of time with you. With the internet and a common goal, it is easy to cross generations and even oceans to communicate with your helpmate. Or it may be easier to pay for professional help. Find an editor and proofreader through writer referral services, bookstores and libraries. Explore local publishers or the world of print on demand. But take care and ask for recommendations. The Association of Personal Historians has a Find button on their website to locate memoir specialists nearest you. Finally, plan your rewards. How will you celebrate your book when it’s ready? Like any worthwhile project, a step by step approach will result in your completed memoir. With today’s ease of self-publishing and availability of help, you can sell your unique perspective, give it away, or place it in the vault for heirs. Give a lasting voice to your life and write your memoir now. If you have persevered to the end of this article, I’ll bet you have the diligence and determination to write your memoir. Start now, for the rewards are truly in the journey. Happy tales!